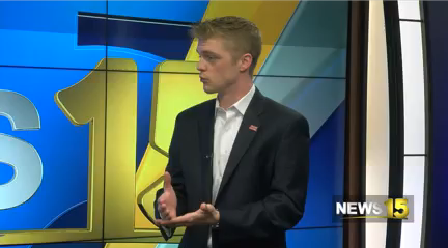 STUDIO 15 – Connor Whelan, Marketing Director for Ragin’ Cajun Athletics, stops by Studio 15 to discuss the upcoming UL Football Spring Game. UL Athletics welcomes everyone to Cajun Field on April 13th at NOON to get a first glimpse at Head Coach Billy Napier’s 2019 squad. Admission to the game is free. Whelan also discusses the baseball game immediately following the spring game, as well as season tickets for the 2019 Football Season.